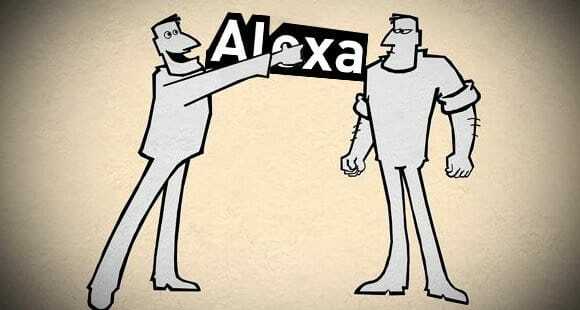 Blog > Resources > Does Having a High Alexa Rank Matter Anymore? Sometimes – though less often now than in the past – you might come across a website with a proud banner advertising its Alexa rank. You might find websites concerned about their rank, and webmasters interested in optimizing their site for Alexa. What is it, and if it’s declining in popularity, is it valuable at all today? Alexa is a company owned by Amazon that specializes in web analytics. The Alexa ranking is a listing of as many domains as they have recorded, and their relative recorded traffic. A higher Alexa rank means your site has more traffic. There’s nothing more to it than that. Alexa doesn’t judge site quality. They don’t judge subjective value. They don’t judge anything, except for a recording of traffic. The Alexa rankings were used in the past as an indicator of the popularity of a domain. Three types of people cared about this metric. First were the competitive webmasters who would look for any excuse to consider their sites better than other sites. Second were the affiliate marketers, who would feel more confident paying out more to sites with higher Alexa ranks. Third were the domain traders, people who buy and sell domains and existing sites based on their ranks on sites like Alexa or Google’s PageRank. Today, such basic metrics have come to mean comparatively little. Even PageRank is on the decline. Alexa, however, has one key flaw. Your site is very likely on Alexa’s list, and yet you don’t have any Alexa tracking code on your side. How does Alexa measure your traffic, then? The answer is that Alexa records visitors using the Alexa toolbar. Amazon has taken steps to try to make this toolbar, a browser extension, useful. Unfortunately, the age of toolbars is ending just as quickly as the age of Alexa. What this means is that your Alexa rank is not accurate. It’s only a recording of the people who visit your site using the toolbar. You could have 100,000 monthly visitors, but if only 2,000 of them use the Alexa toolbar, you’ll look like you have 2,000 monthly visitors. At the same time, a competitor who has invested in the Alexa toolbar for their audience may have convinced 3,000 people to use the toolbar. It doesn’t matter if they only receive 5,000 monthly visitors; they’ll still rank above you on Alexa’s list. The idea is that Alexa users are supposed to be a representative sample of traffic online. In practice, this is not true at all. On one hand, you consider the types of people who would install and use a toolbar are not representative Internet users. On the other hand, you have to remember how easy it is to convince users to use a toolbar on your behalf, which can skew the ranks. Now, Alexa has put forth some effort over the last few years to increase the data the toolbar records to make the rankings more useful. At least, they’ve tried to turn their data into analytics beyond just traffic monitoring. At a glance, they record bounce rate, time on site, demographics, links, search traffic, keywords and more. Sound familiar? It’s everything you can find in Google Analytics, except because it’s still tracked by the toolbar, it’s not representative or accurate. Alexa is a case of “it shouldn’t but it does.” Alexa rank shouldn’t matter. It’s flawed and it’s skewed. The types of people who are likely to install the toolbar skew towards one particular demographic. Many industries don’t take advantage of or attract that demographic, and so they will always have a lower ranking on Alexa compared to smaller sites in the relevant industries. It would be like ranking websites according to the number of times they mention bread; bakeries and food sites would always rank higher. On the other hand, Alexa is depressingly persistent. The types of people who care about Alexa persist in calling it a valuable metric, and spread the opinion through their audiences. As long as users are using the toolbar, Alexa continues to record data. As long as Alexa records data, advertisers and site traders are going to use the metric, regardless of its validity. As long as Alexa ranks to those few influential people, it’s going to persist. If you want to encourage the fallacy that Alexa is a valuable metric, or if you’re persistent in wanting to improve your Alexa ranking for a specific reason, you need to take steps to improve what Alexa wants. First, you need to encourage as many of your users as possible to install the Alexa toolbar. To their credit, Alexa has done a lot of work towards making the toolbar useful. It works as a web search bar and can thus replace the Google toolbar for some people. It shows visible Alexa rankings for those who want to see that number constantly. It shows related links to help users find new content in a StumbleUpon-like fashion. It includes a button linked to the Internet Archive Wayback Machine, to show historical shots of the site you’re on. It can even link with several social networks and mail services, to show notifications when messages arrive. All of this is leverage for you to attempt to convince your users to install a toolbar into their browsers. 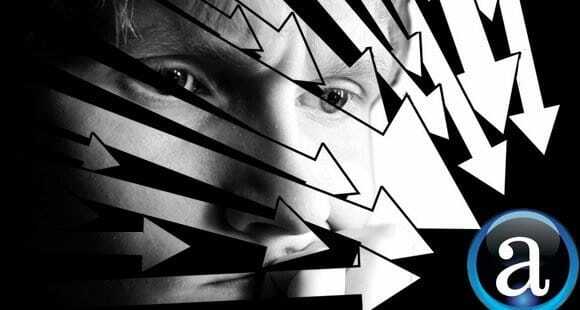 This may be harder than it sounds, particularly given the paranoia surrounding toolbars in years past, how they are so often bundled as spyware with virus-laden software. You’ll be fighting an uphill battle to convince users to adopt the toolbar. Alexa’s widget also cares about incoming links. The widget is the box you embed on your site to display your rank. While links aren’t part of the rank itself, they still show up, and that can be data you can use. Thankfully, gathering more incoming links is a valid SEO factor as well as a valueless Alexa factor, so you have reason to try. Publish good content, publish often, share your content and spread your links around. Of course, Alexa is just a record of traffic. It doesn’t care about the quality of the traffic. That means, if you’re prepared, you can just buy traffic. Find a traffic seller who caters to Alexa users, equipping their bots with the toolbar, and let them at it. You don’t care about the lasting effects if you’re selling your domain; that’s for the buyer to worry about. The temporary boost in Alexa rank is all that matters. Obviously, if you intend to build your site organically, don’t do this. For that matter, don’t care about Alexa at all. It divides your attention to no real benefit. This is a great post, Kenny. I started a website 3 months and everyday there’s a ritualistic practice of going to Alexa to see the rank. Sometimes, I’m delighted, sometimes the opposite. Despite having great content, the rank has been struggling around the 150k mark. It stands to reason now since my website is not heavy on tech, and its targeted audience wouldnt be the kinds who’ve installed the toolbar. That leaves us with one question though, what alternative do we have to judge a website by? A website or a blog can have different business objects, it can be an ecommerce website for selling products, a lead generation site for securing contact information and sales prospects, a content publishing site wishing to maximize ads shown to visitors or an online info and support site to help customers find information? Find out what your blog’s business objective is and determine if its successful in this aspect. That would be a better judge of a site’s performance.